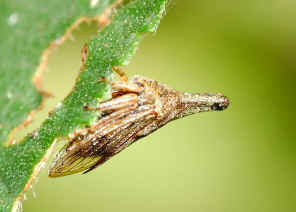 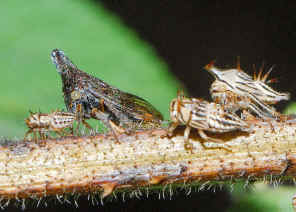 The Lantana Treehoppers are also known as Lantana sap-sucking bugs. 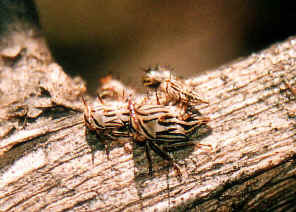 They are common in Brisbane but hardly be noticed. They camouflage very well. 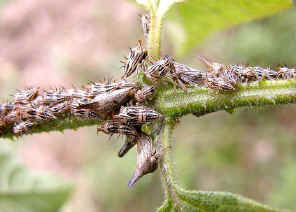 The insects are brown in colour and look like thorns on the host plant. 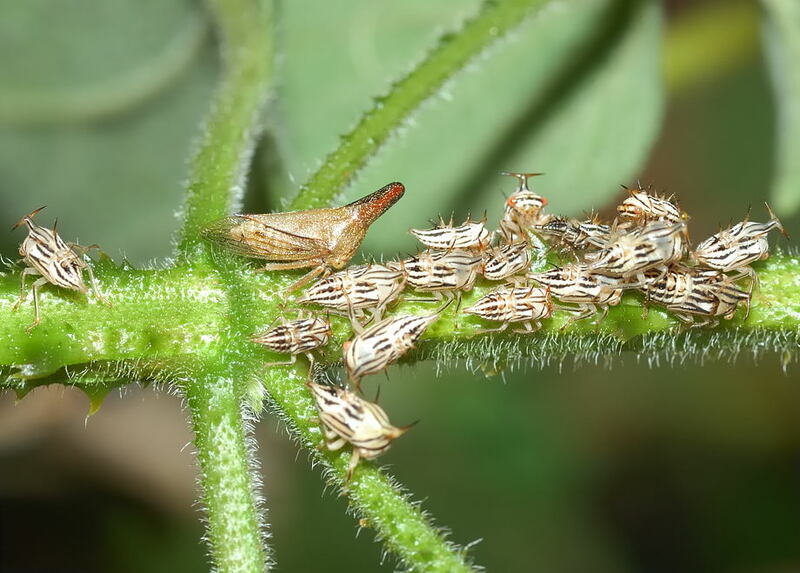 Once we learnt how to recognize them, we find them on every stem of Lantana plants. Lantana Treehoppers naturally occurs from Mexico to Columbia. They are introduced from Mexico to NSW and Queensland as a biological control agent of the weed Lantana. 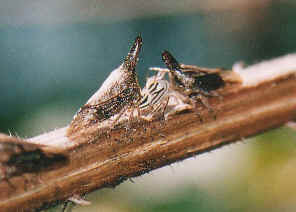 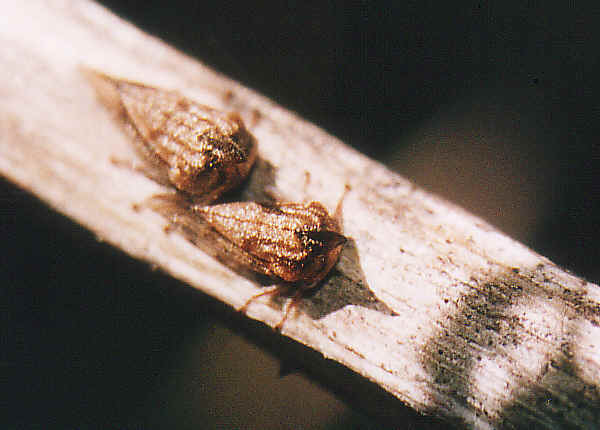 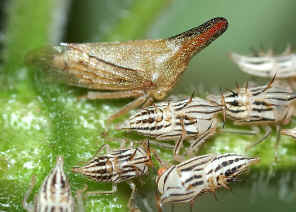 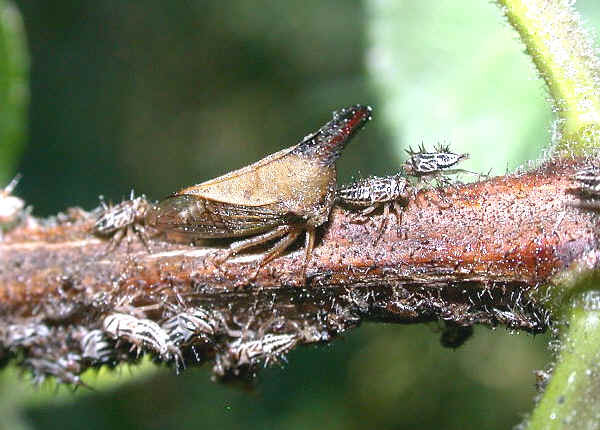 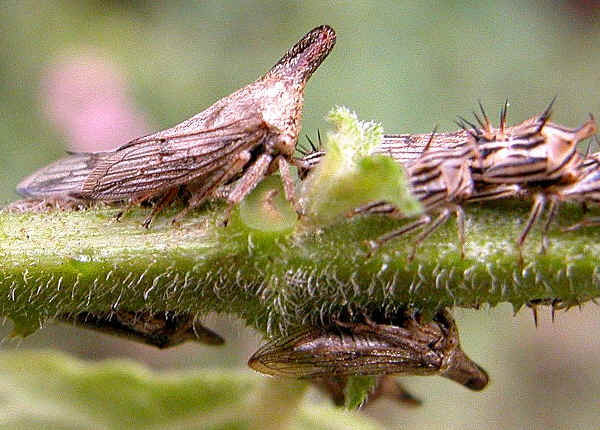 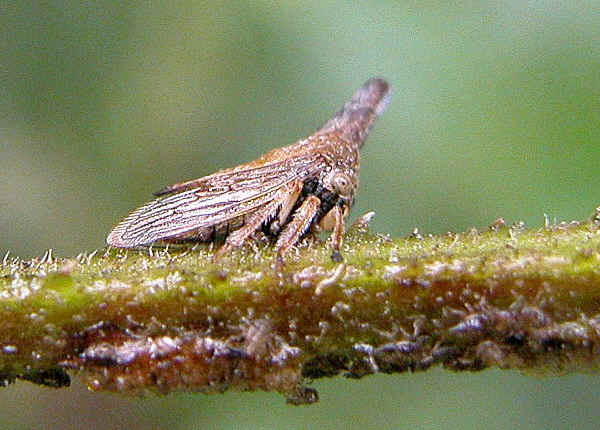 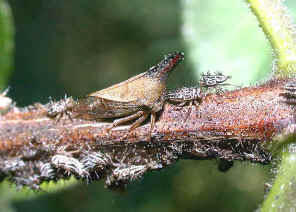 Adults and nymphs feed by sucking the sap from stems of host plant. 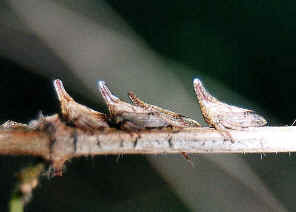 This cause the branches die and weaken the host plant. 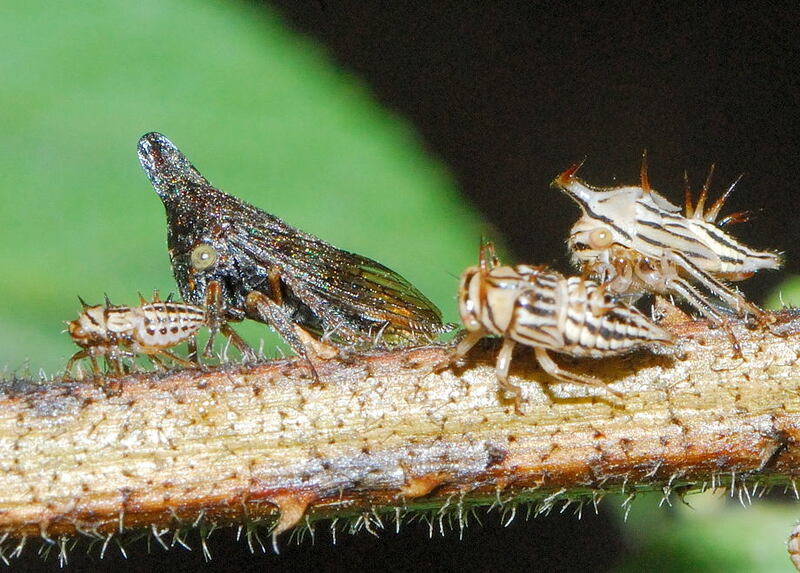 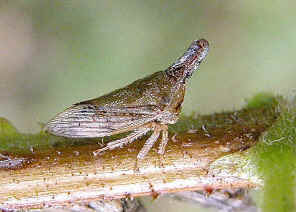 However, the Lantana Treehoppers are found affecting some non-targeting plant species as well. 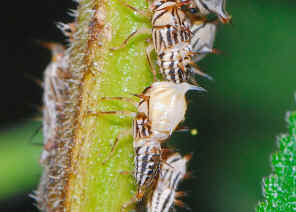 The insect exudes a sugary solution called honeydew from the plants. Like all other hopper species, when they are disturbed, they jump and disappear. 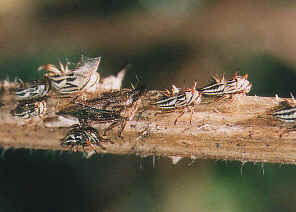 Adults and different stages of nymphs can be found on the same plant. Lantana is listed as a Weed of National Significance - one of the “Most Wanted Weeds” in Australia. 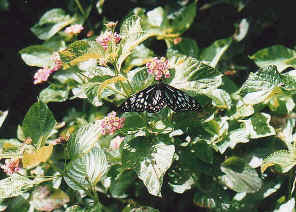 Lantana is a problem in Brisbane bushland. In 1995 Lantana Treehoppers are introduced from Mexico to NSW and Queensland as a biological control agent of the weed Lantana. 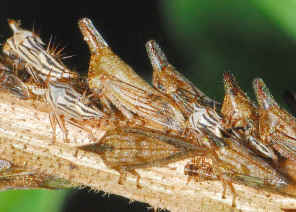 Last updated: September 13, 2009.